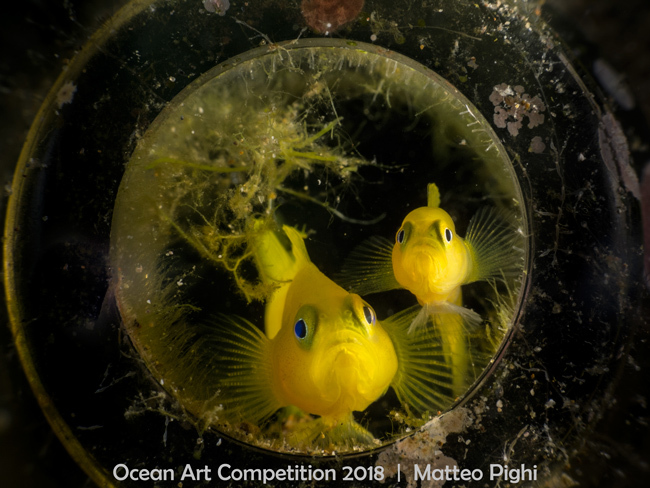 "Yellow Gobies in a Bottle"
The Story: My wife and I took this picture at the end of our last dive in Anilao. We were on a sandy bottom about 12 meters deep where shelters for the creatures that live there are very few. This little family of yellow pygmy gobies had found an ideal home in an empty beer bottle.